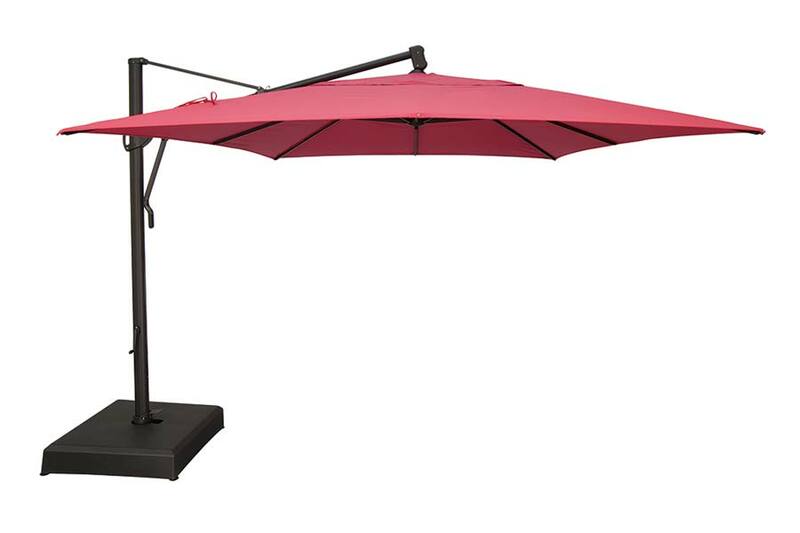 The 10′ x 13′ AKZ Plus Umbrella Elevates Outdoor Living! 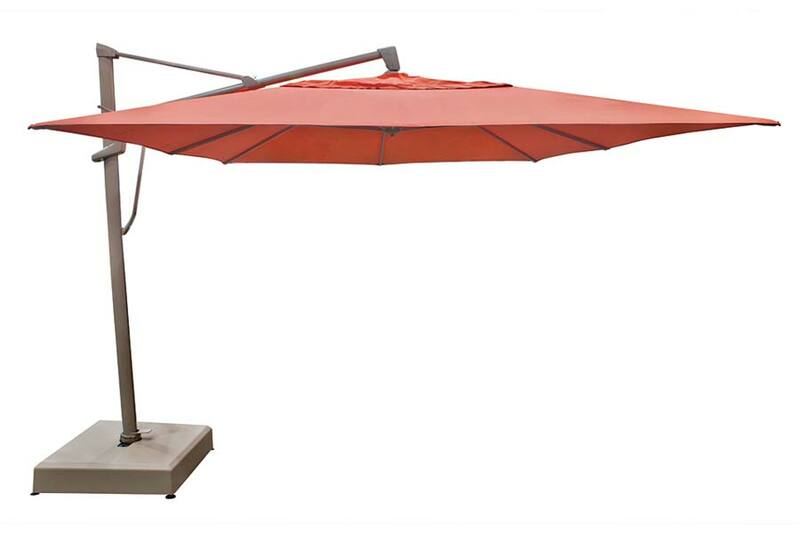 The 10′ x 13′ AKZ Plus Umbrella, with infinite tilt capability, has an easy to use sliding pistol grip handle that can be set and locked in any infinite tilt angle. 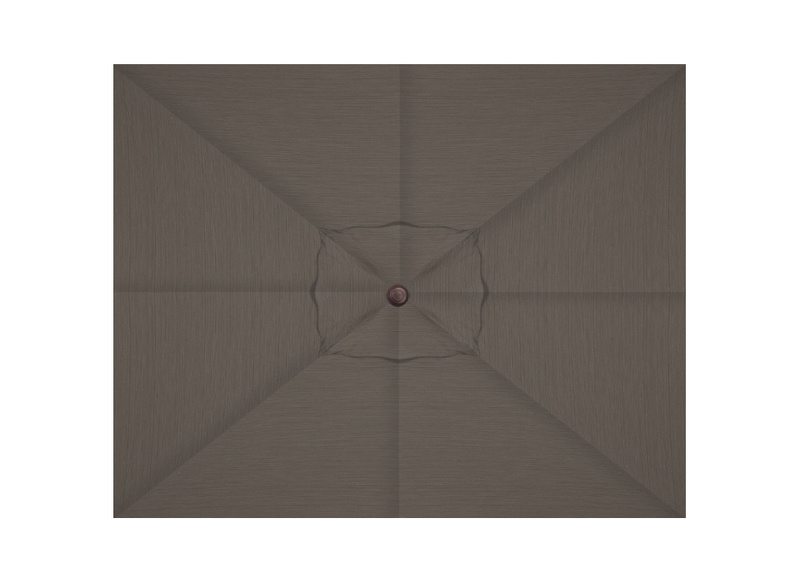 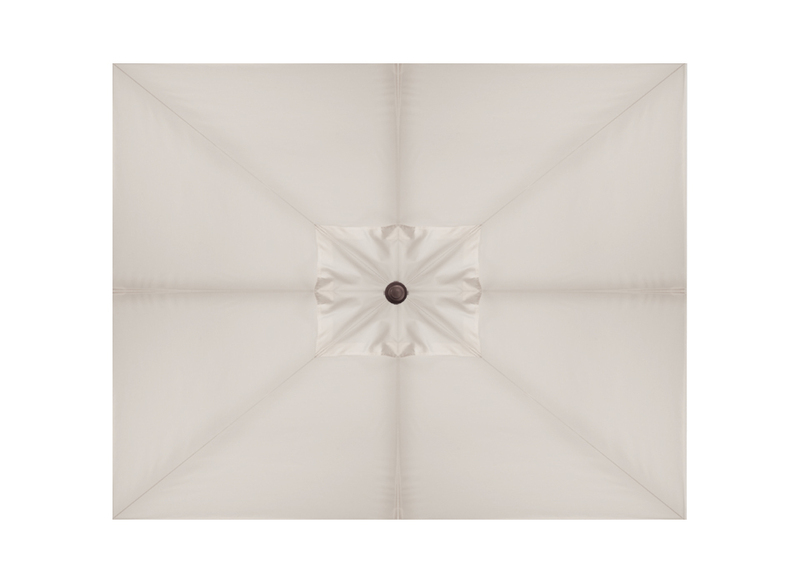 This unique tilting function makes this Umbrella the perfect shade option for commercial or residential use. 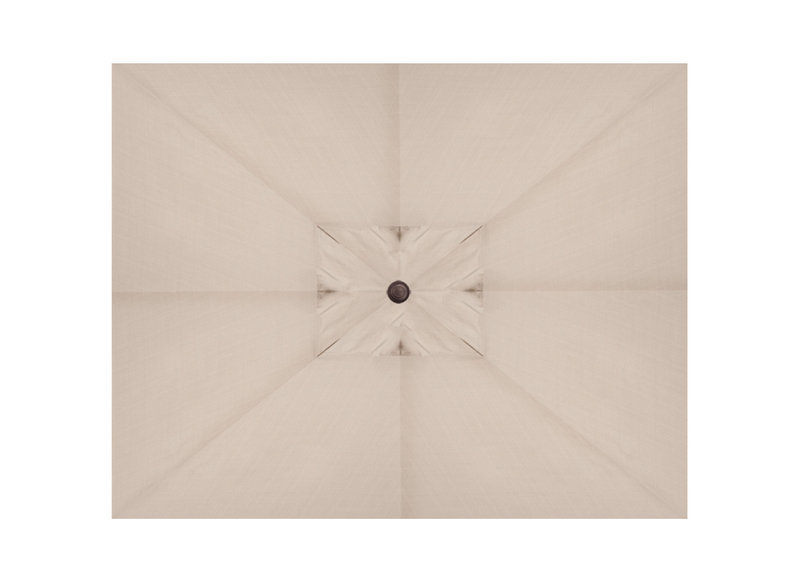 This model eliminates cording in the mast and features a built-in light adapter to fit umbrella lights. The AKA Plus Umbrella is available in a large selection of outdoor fabrics and three different frame finishes. 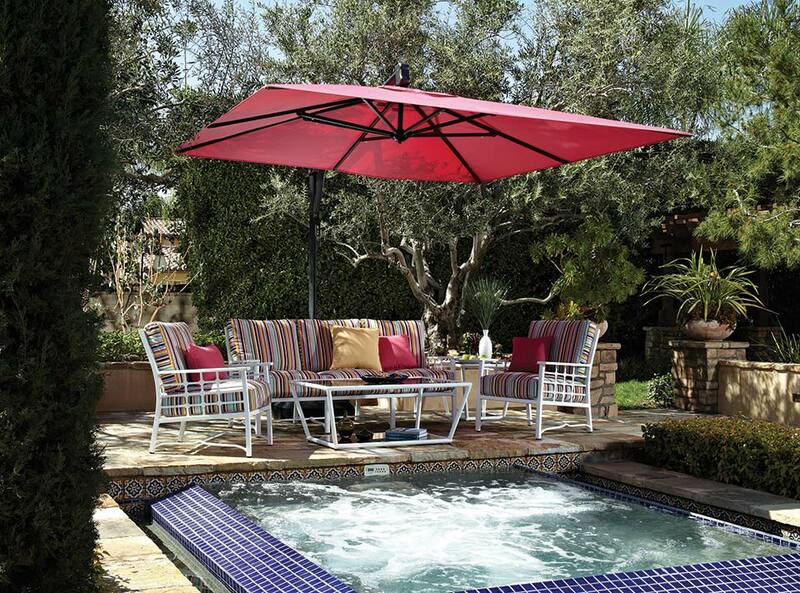 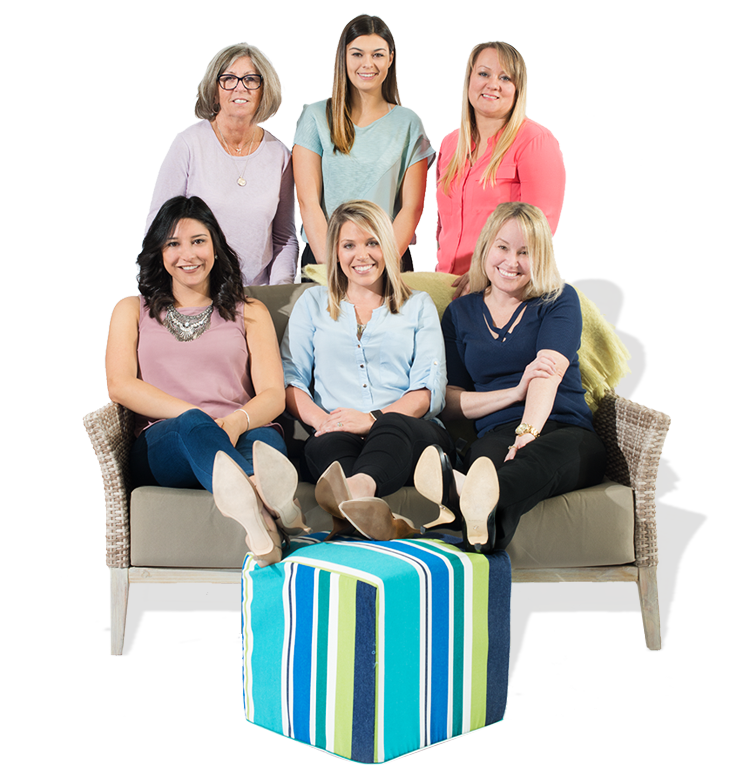 Now, you can choose the look that is just right for your patio.